Flowers are the perfect birthday gifts! What better way to make the birthday girl or boy smile? Whether you plan on sending a surprise delivery of birthday flowers or arriving at the party carrying a huge bouquet in your arms, LolaFlora has the perfect floral arrangement to mark the occasion. Those with more classical, refined tastes will appreciate the graceful beauty of traditional roses and carnations in pastel shades. 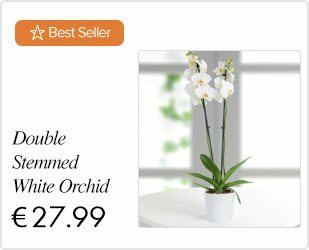 If you are looking for something a little out of the ordinary for the extrovert in your life, try sending an orchid plant or bonsai tree to appeal to the recipient's quirky personality. For milestone birthdays, only the biggest and best bouquets will do! Explore the hidden meanings and symbolism behind particular flowers and colors to send something truly personal and accordingly write your birthday message to the gift note that LolaFlora offers for you. 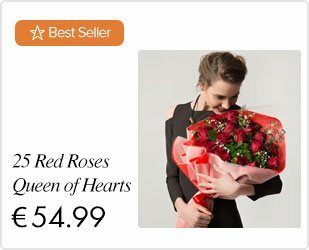 With LolaFlora's expert online florist service, you can send birthday flowers internationally and know they are guaranteed to arrive in time for the big day. Our birthday flower delivery will ensure that your chosen bouquet or floral arrangement arrives as fresh as the day the flowers first opened their petals to the world! Send happy birthday flowers to a friend, relative, lover, or co-worker to spread joy through color, fragrance, and beauty!